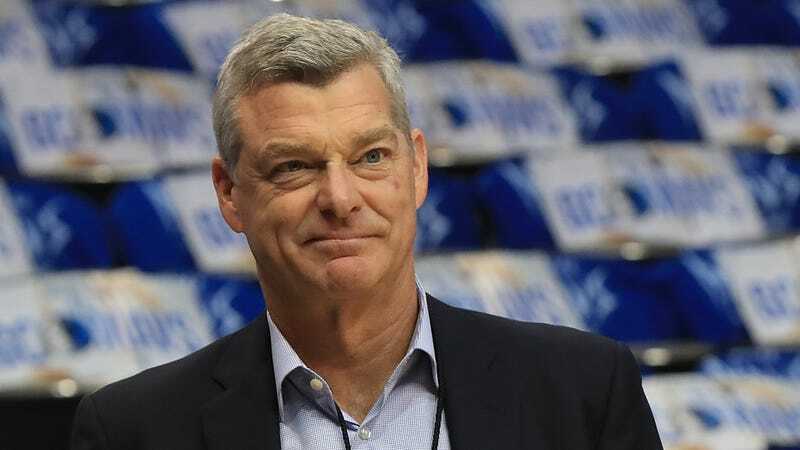 Tony Ressler bought the Atlanta Hawks in 2015 for a reported $850 million. The Hawks wrapped up a 60-win season that year, and made the Eastern Conference Finals. In the time that he has owned the team they’ve won fewer games each year, bottoming out last season with a 24-win tank fest, and they figure to be about that bad again this season. Despite that dismal trajectory, Ressler is pretty sure he’s gotten better at this. Hawks fans would certainly appreciate this level of candor from their team’s owner, if there were more than like a dozen or so Hawks fans in existence. Ressler is in charge of one of the more stagnant franchises in American professional sports—squeezing the locals for construction funds is hardly a feather in the cap of someone whose performance can be judged by the satisfaction of hometown fans. But ultimately it’ll be on-court success that proves or disproves Ressler’s development as the head of a basketball organization, and that evidence may still be a long way off. Trae Young does look fun as hell, though.